In many instances the holidays are a time of celebration that includes a wonderfully prepared meal. 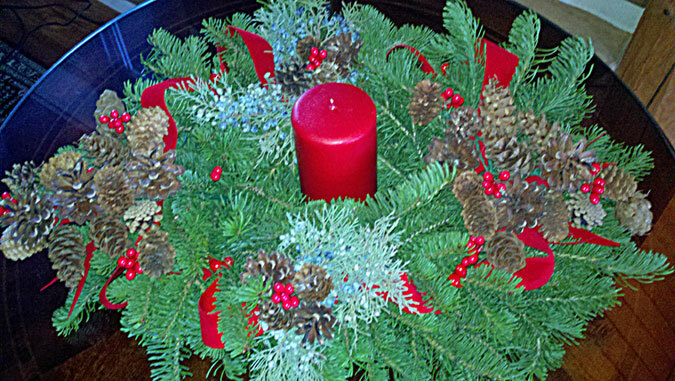 What better way to highlight a gathering than a handmade “Made in Montana” centerpiece from Bitterroot Evergreens. 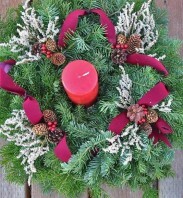 Constructed of three varieties of fir boughs from high in the Bitterroot Mountains of Western Montana the centerpiece is accented with a combination of cones, juniper, and a red, white, or green scented candle. 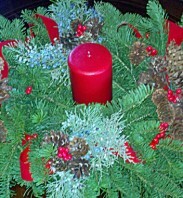 Each centerpiece is moistened prior to shipment, sealed in plastic and includes a personalized holiday greeting card. 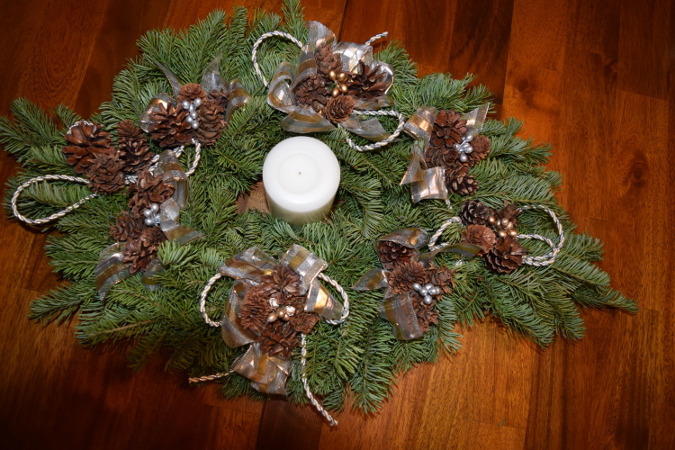 An oval piece with lots of cones and adorned in silver and gold with a matching silver or gold candle. 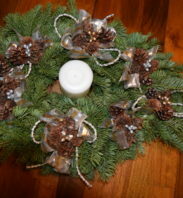 Add battery-operated lights to your centerpiece for only $12.00 more. 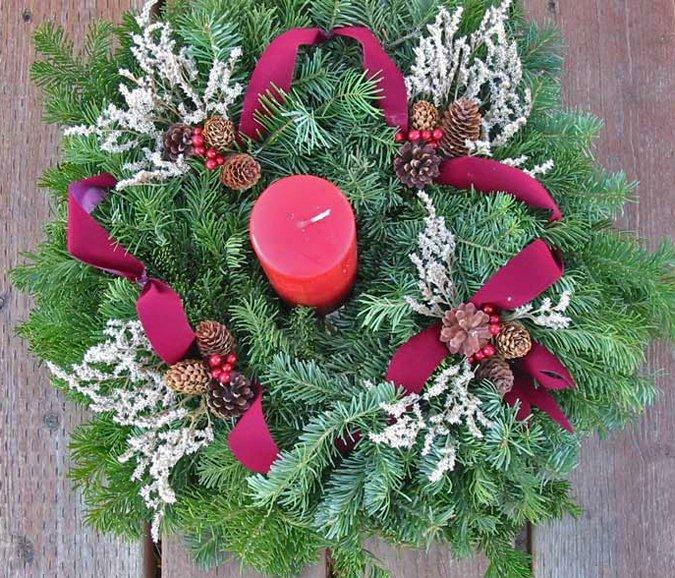 18" Round centerpiece which fits perfectly in any dining setting. Centerpiece candle is included.